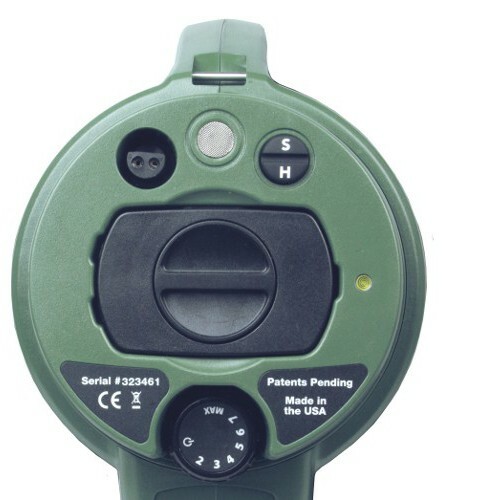 Made in USA, built tough to stand up to demanding real world applications. 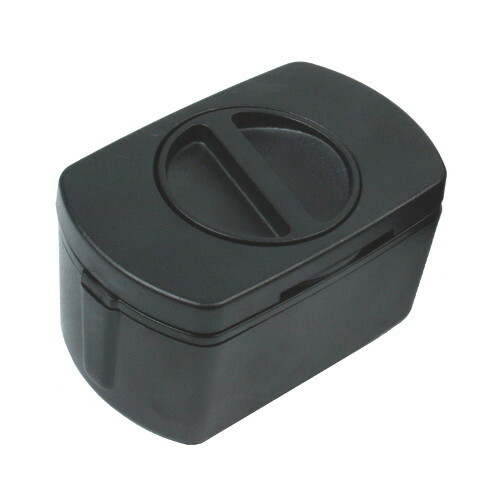 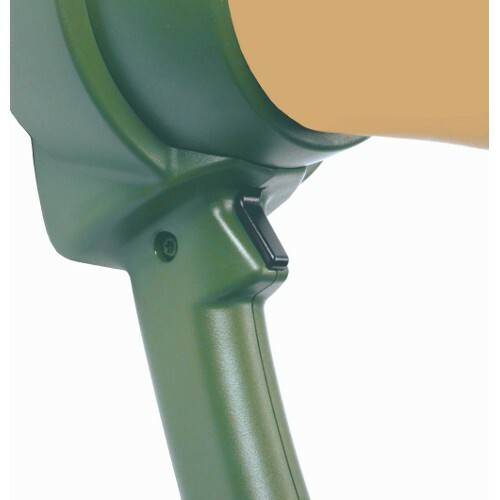 Rugged and waterproof protection for marine and outdoor environments. 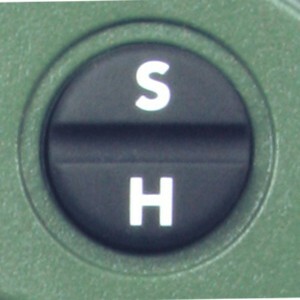 Shock absorption rubber cushions on the front edge and back. 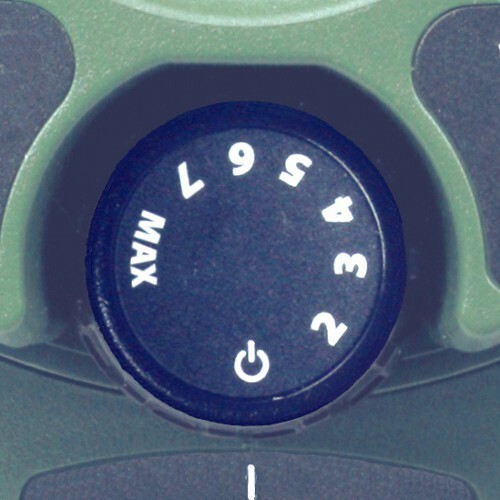 Control panel with access to the microphone, battery and volume control. 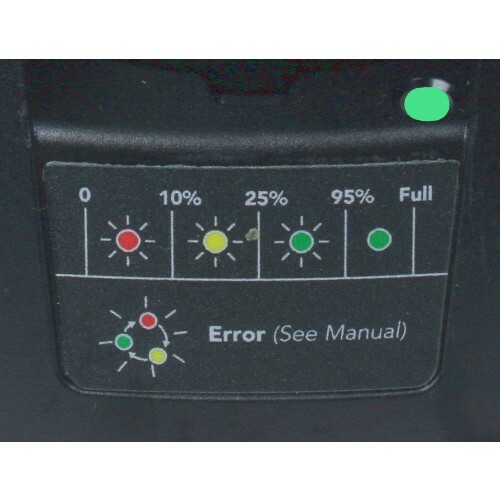 On / Off volume control knob. Shoulder strap hook with padded shoulder carry strap. 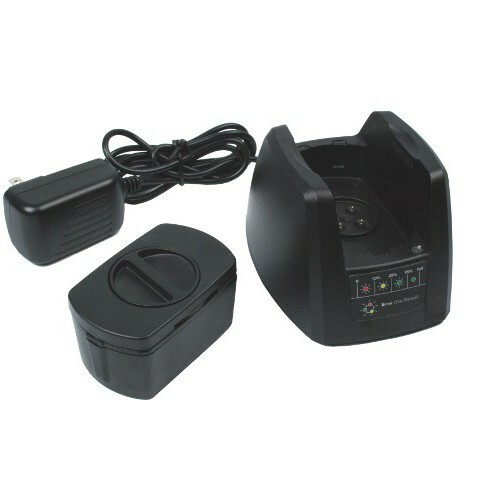 Rechargeable Li-ion battery pack with charger. 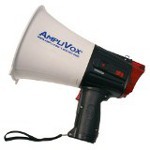 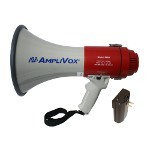 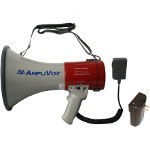 The AmpliVox ProMarine Megaphone is designed and MADE IN USA. 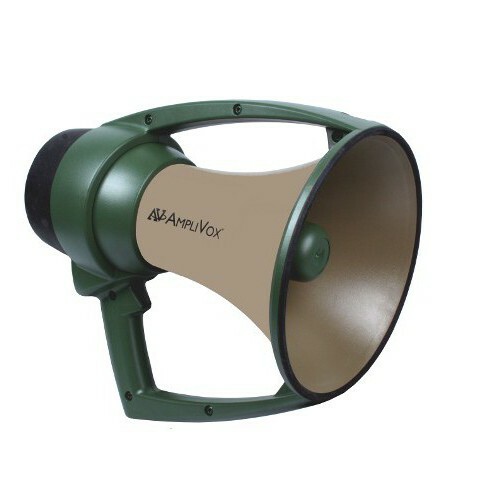 Built tough to stand up to the most demanding real world applications. 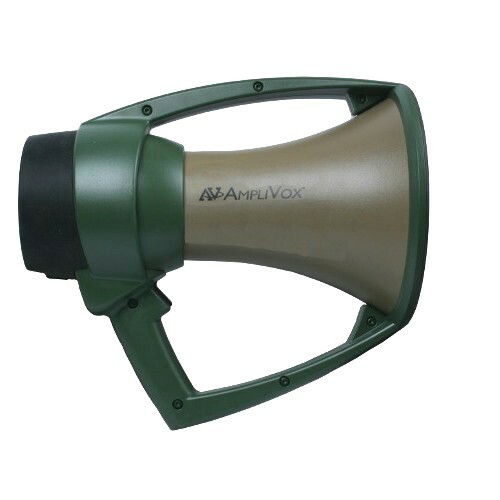 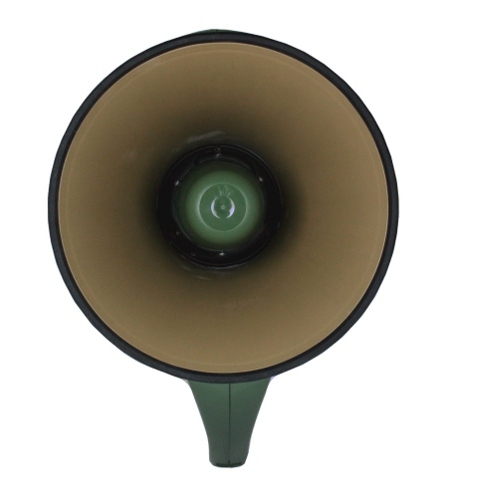 The waterproof designed megaphone is carefully built to IP67 (Ingress Protection) standards for dust and water submersion (waterproof) and MIL-STD810F 516.5 specification for shock absorption. 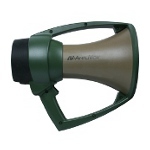 When dropped in pool, lake, ocean or river, the Pro Marine Megaphone will float. 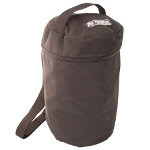 Fully submersible and waterproof. 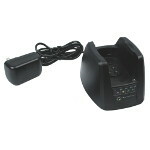 Rechargeable Li-on battery pack with charger station included. 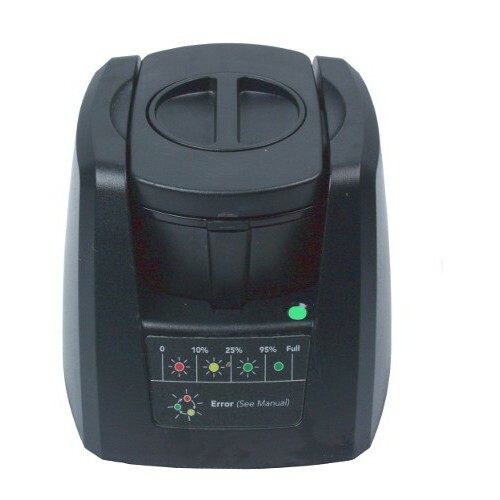 Battery life up to 8 hours. 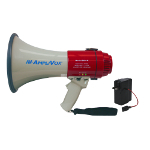 Class-D digital Amplifier with volume control, battery status light, siren and horn signals along with padded shoulder carry strap are included. 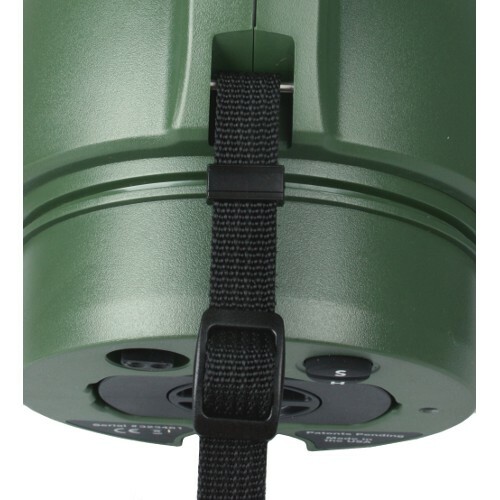 One mile range/1760 yards. 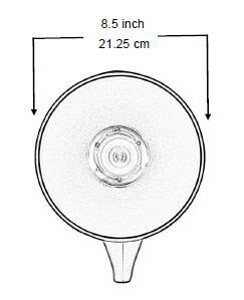 22 watts peak, 19 watts rated. 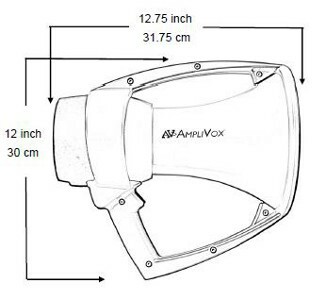 Dimensions 12.75"l x 8.5"w x 12"h.
This unique waterproof headset is especially designed to be used with the AmpliVox WP609R Waterproof Megaphone for hands-free use. 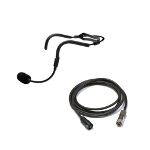 No need to worry getting this headset wet or dropping into water. 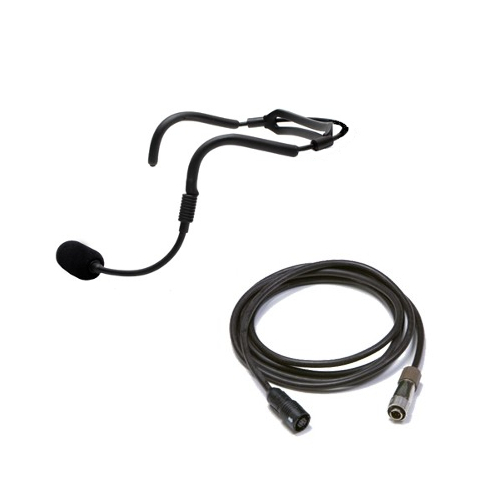 It’s IP67 rated water-proof noise canceling microphone will continue working without any problems. 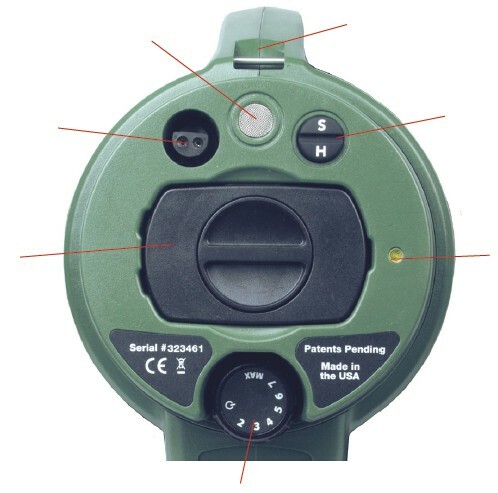 Designed for hard use in rugged environments. 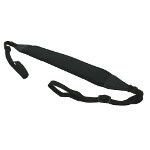 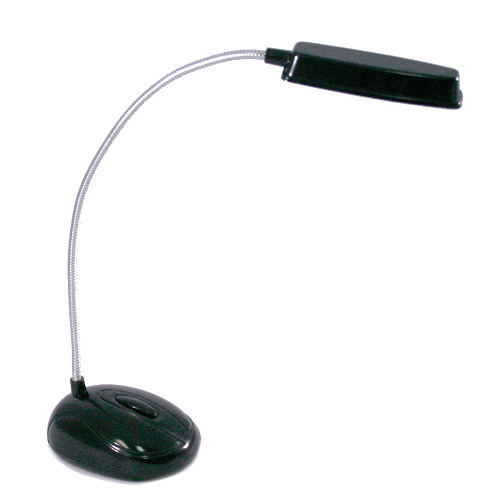 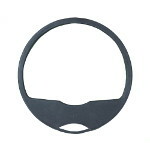 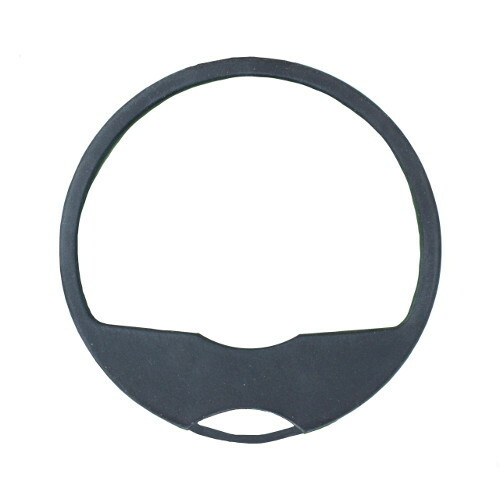 Lightweight, behind the head design pro-vides hours of comfortable use.